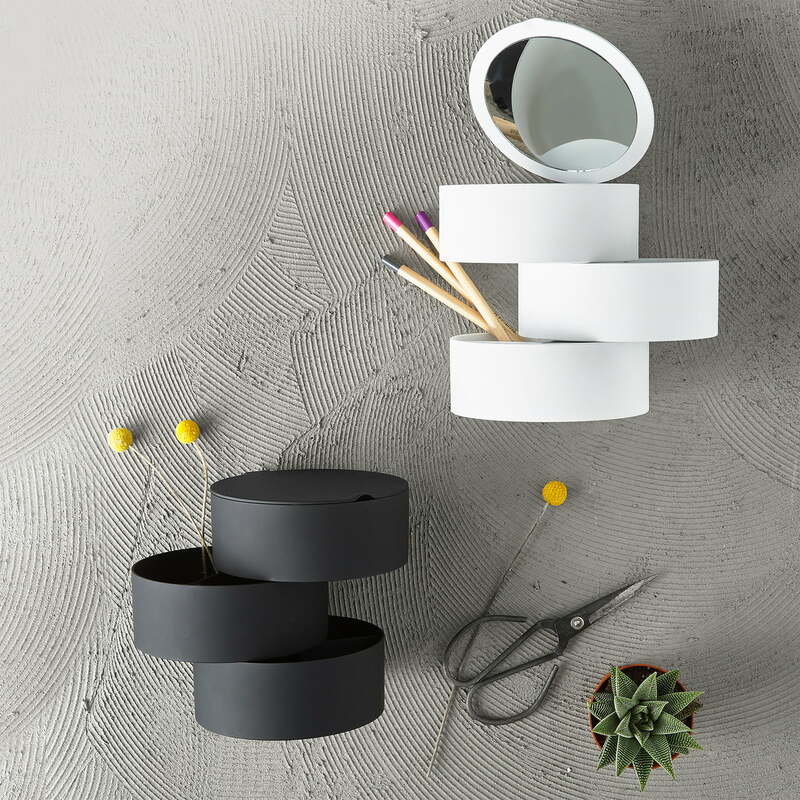 The Slide Storage Box by Zone Denmark is a storage container with three levels. The top box has a lid, which has a mirror with 5 x magnification, making the storage solution perfectly suited for the bathroom or the dressing table. The two lower levels of the storage box reveal its contents, if you push or slide the overlying layer to the side. The caskets are differently divided by partitions and so perfectly suited for small things such as rings or necklaces but also cosmetics find their place in the Slide Storage Box. Product picture of the Slide Storage Box from the Danish brand Zone Denmark in black. The Slide Storage Box by Zone Denmark is made from plastic in black. 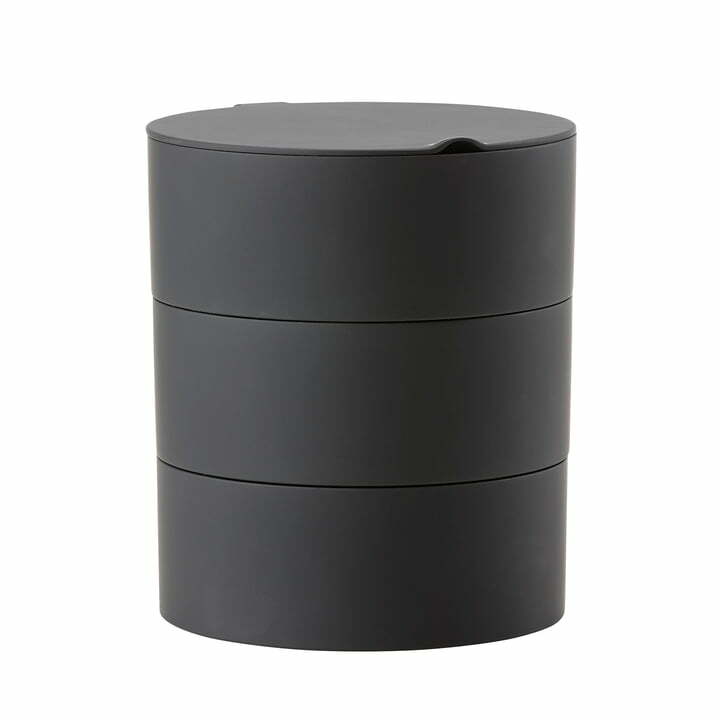 The Slide Storage Box by Zone Denmark is a storage container with three levels. 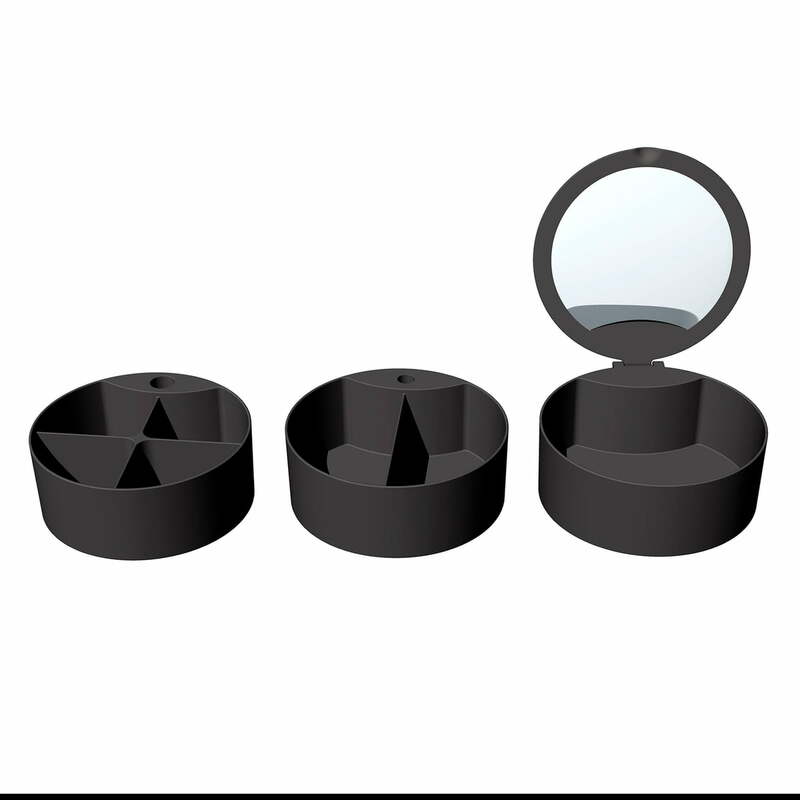 The top box’s lid features a mirror with 5 x magnification, making the object perfect for use in the bathroom or bedroom. The two lower levels of the storage box reveal its contents, if you push or slide the overlying layer to the side.